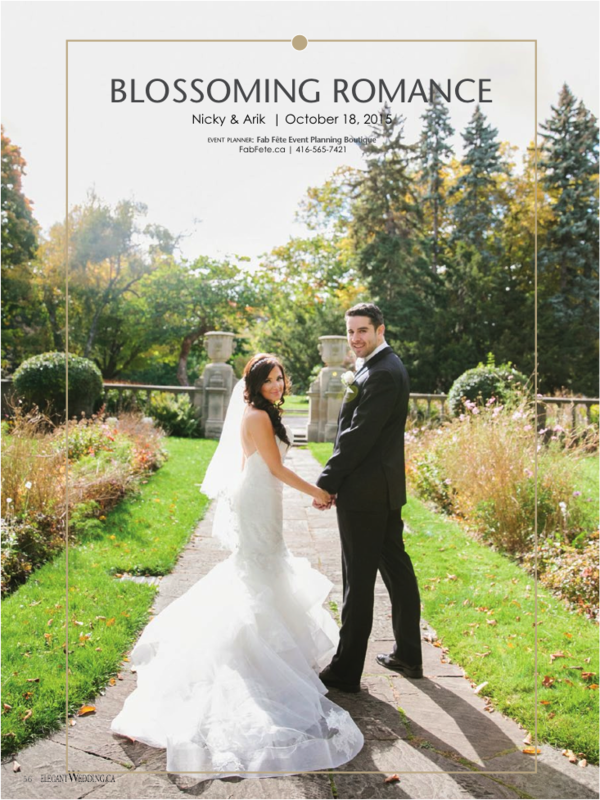 We were again honored with having Nicky & Arik’s gorgeous wedding featured in this season’s issue of Elegant Magazine. 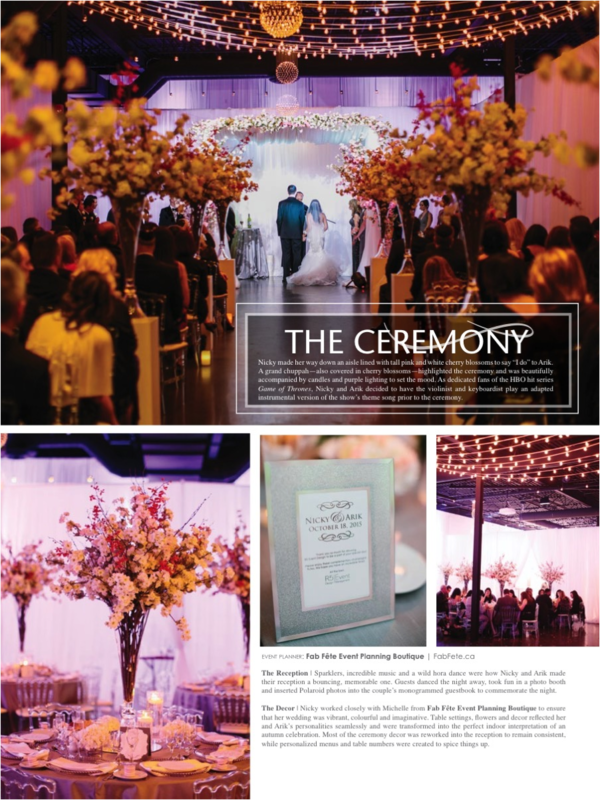 From felines to large flowers you can say this wedding had it all. York Mills Gallery was the perfect setting for this extravagant wedding. The most beautiful chuppah was above them as the couple said their vows. With cherry blossom trees and beautiful purple lighting the whole room glowed.